The hospitality industry represents a massive and important slice of all worldwide travel-related markets. Accommodating millions of customers around the world daily, this exploding industry likewise employs a massive, skilled workforce. This is the industry’s driving force for success. 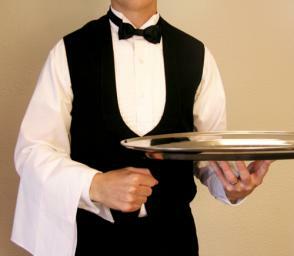 Initially getting into most areas of the hospitality workforce is generally not too difficult. Getting ahead though requires some active efforts in making yourself stand out from the rest. As in all fields, there are ways to get ahead that can really help individual career paths within. We highlight five of those ways to get ahead in the hospitality industry. Earning a degree in a hospitality-related discipline is one of the best ways to get ahead and stay there in this particular industry. Competition is strong with new entry into the workforce relatively simple to achieve. One of the most concise ways to stand above this crowd is by presenting a college degree. There are many schools to choose from, online and on-campus. There are also many different degrees, each geared toward a certain aspect of the industry. The AHLEI, or American Hotel and Lodging Educational Institute is a leading authority in all things having to do with the American hospitality industry. In particular, the organization serves as the prime, official resource for education and the certifications and standards for the hospitality field. This, in turn is a fantastic route to consider in getting ahead in the field. The AHLEI offers several certifications for professionals in the hospitality industry. Each of these carries with it a great deal of clout and respectability. Recertification is also offered online as well as in person. Going through the AHLEI to receive strong, official credentials will help anyone to advance as a current employee or job-seeker in hospitality. TISOH stands for The International School of Hospitality. This business school for hospitality is globally recognized. Subsequently, your affiliation with the school will speak volumes itself should you sign up. There are many certifications and educational opportunities offered by the Las Vegas-based school – all focused on hospitality. Offerings can be found online as well as on a physical campus. In hospitality, just as in other fields, knowing the right people can be immeasurably helpful for the purposes of climbing the ladder upward. Knowing the right people also translates to knowing more of the right information and being more affluent within more valuable groups of people. It can even mean the difference in a huge, in-house promotional opportunity, all made possible by your active fostering of pivotal relationships. There are many ways to network here. Talk to co-workers and become more socially active. Visit the company’s website or Facebook page more often and interact with your team. Go to those functions and be involved. Through these approaches, you will not only succeed in networking, but you may very likely earn a greater respect and gratitude from those important superiors and coworkers. As simplistic a concept as it may seem, working hard will get you noticed in this industry. Ultimate success in the hospitality industry is all about providing the best customer experience and product for the lowest cost and liability. The employee that really goes out of their way to make this formula work while on the job will quickly gain recognition. Profits will rise, customers will be happy, costs will drop, and management will be left ready to recognize your game-changing efforts. In conclusion, the more one puts into this industry, the more they will get back from it. Investing yourself via educational and at-work endeavors is the best, most sure way to the top. These five ways to get ahead in the hospitality industry offer some great guidance in that exact direction.